It has been said that for many on hand for the 1948 London Motorshow were simply flabbergasted by the new Jaguar XK 120 that combined jaw-dropping beauty and promised astonishing performance in equal parts. Although the swooping and curvaceous styling—strongly influenced by Jaguar boss William Lyons—showed influences of the prewar BMW 328, it was still fresh and exciting. The alloy bodywork clothed a sturdy chassis, which mated torsion bar independent front suspension to a live rear axle on leaf springs. It wasn’t revolutionary, but it was up to date, complete with large hydraulic drum brakes at all four corners. What was revolutionary, was the inline double-overhead-camshaft six cylinder engine displacing 3.4 liters and rated at 160 bhp. All that power was channeled aft via a four-speed manual gearbox. Said to be capable of 120mph, the XK 120 moniker was logical. For the day, the new Jaguar was extremely quick, capable of sprinting from 0 to 60 mph in less than 10 seconds. Priced at $3,940 in the United States, performance was on a par with much more exotic machines costing twice as much. 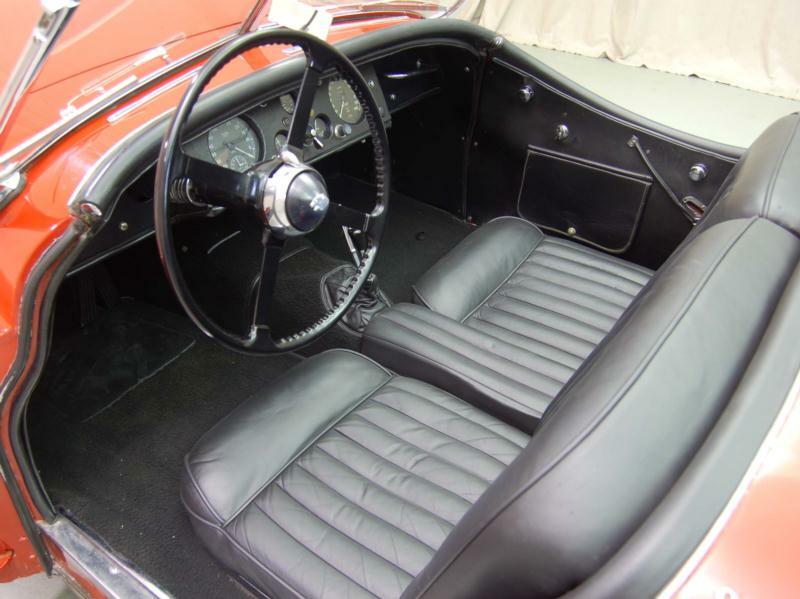 In addition to that undeniably gorgeous coachwork, the Jaguar was opulently trimmed with fine leather and carpet. Weather equipment wasn’t so fine, including a folding convertible top that kept out some of the elements when mated to removable side curtains that stowed when not in use. 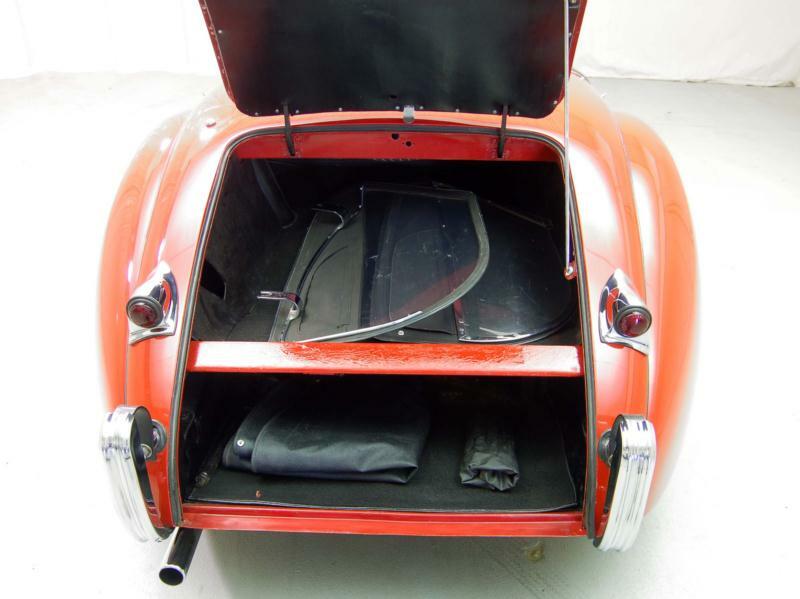 Standard equipment included steel-wheels with chrome and body color hubcaps and full rear wheel spats that only enhanced the XK 120 Jag’s stunning good looks. Wire wheels were one of the relatively few options. 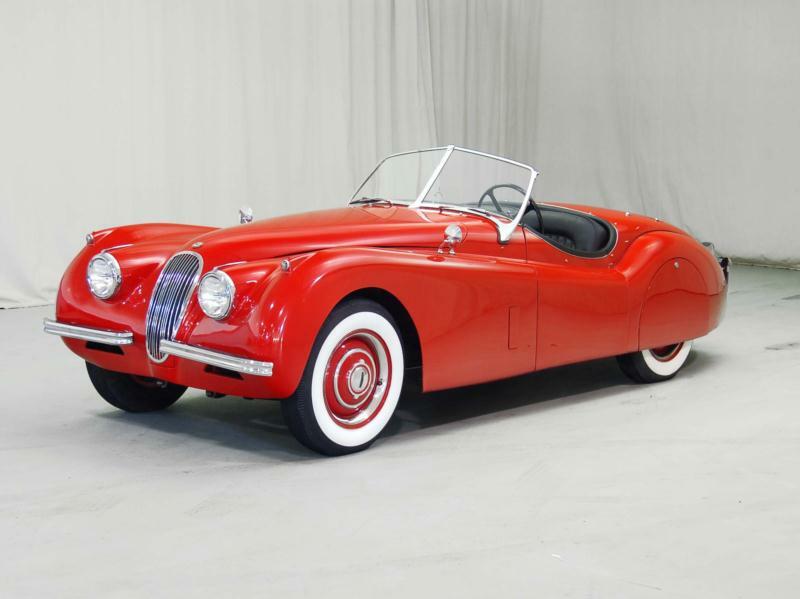 Originally intended as a limited-production model to raise interest in a new series of sedans powered by the same XK six-cylinder engine, orders for the Jaguar XK 120 immediately exceeded production capacity. The decision was quickly made to replace the alloy over ash body with an all-steel body sharing the same seductive shape, a change that was implemented after the first 240 cars left Jaguar’s Browns Lane factory. From the very beginning, the new Jaguar was taken racing and rallying with great success. Developments were gradual and subtle, including new integrated parking lights in 1951—the same year a lovely fixed-head coupe joined the family—and footwell air vents in 1952. The following year saw yet another model, in the form of a drophead coupe complete with roll-up windows and a more comprehensive top. Performance wasn’t ignored either, with the introduction of the Special Equipment or “M” model. This performance version used an uprated 180 horsepower engine exhausting through dual pipes and invariably riding on wire wheels. Fast, beautiful and successful on the race track, to many the Jaguar XK 120 was the ultimate production sports car of the 1950s. 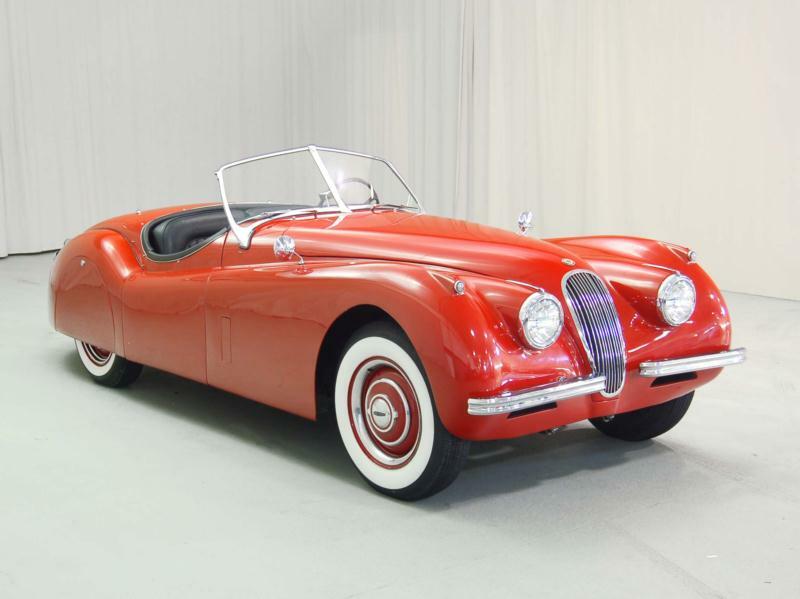 The public clearly thought so, as 12,078 XK 120s were sold, which was far beyond the company’s wildest expectations. 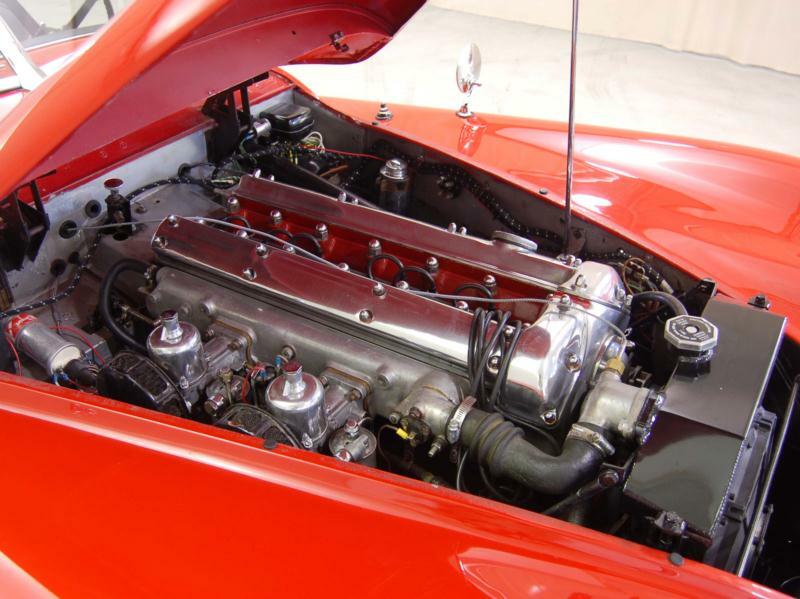 Often considered “heavy” in feel, the XK 120 is still a quick car and can easily keep up with modern traffic, although the drum brakes have to work hard to stop the 3,000 pound sports car from speed. Still immensely popular, it’s hard to say whether the wonderful engine or the lovely lines are more responsible for its enduring popularity. The wonderful exhaust note, of course, certainly plays a role as well.